Launched in May this year the installation of a new car wash hall of PCC Autochem has recently had the opportunity to be presented to an international group of industry professionals. The cleaning process working on the new car wash was developed on the basis of PCC Autochem technology. Kärcher, the leader in the field of cleaning technology and the supplier of the equipment, gave the professional support. It was the Krakow branch of the company which asked for the opportunity to present the solutions applied at the PCC Autochem car wash. 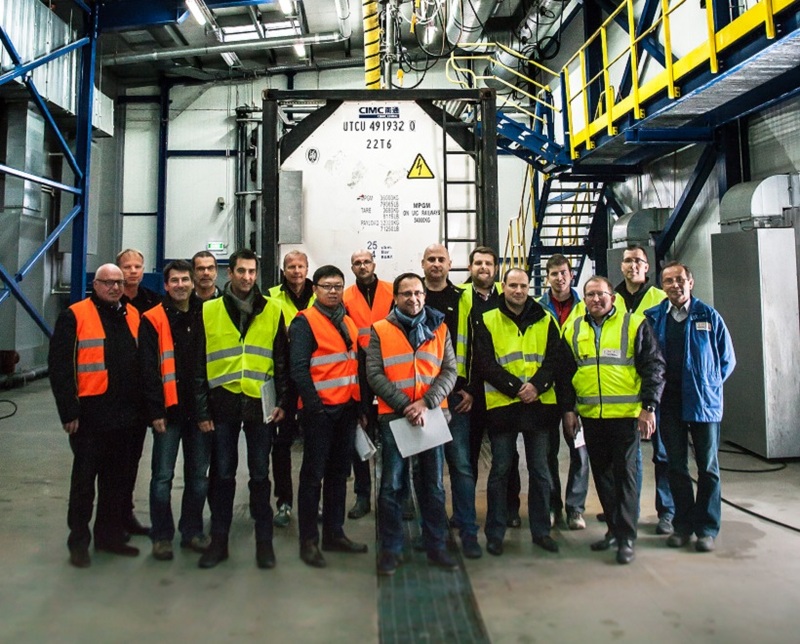 The visit, which was organised on 13 October 2016, was attended by 14 representatives of the Kärcher branches from Poland, Germany, Sweden, Belgium, France, Russia and China. The meeting began with the presentation of the Company’s activity, the history of the car wash itself and the description of the new investment. The participants showed great concern about the idea of a workshop building technique and thereby connection of two business units that complement and promote each other. The attention was also drawn to the solution used to wash wastewater, which is included in the larger system functioning for the needs of the entire the PCC Rokita Group. It is not a common application of the solution. The second part of the meeting was conducted in the form of a visit to the hall and the inspection of the new system. The participants had an opportunity to trace the stages of the washing process, see the used solutions and the devices themselves. One of the strengths was not only the used technology but also the way of installation and accuracy of execution. The recognition of the PCC Autochem car wash in the experts’ eyes is a great honour and something we can be proud of.